Disk Defragmenter rearranges fragmented data so your disks and drives can work more efficiently. So, we should regularly defragment system hard disk (atleast once per month) to improve system performance. Windows 7 defragment system hard disk on schedule. So you can schedule system defragment in windows 7. In this post, I will show you how to defragment hard disk manually. 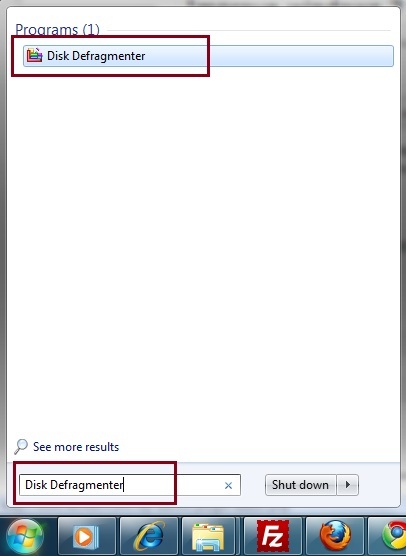 Start >> Type Disk Defragmenter in search box, and then in the list of results, click Disk Defragmenter. Under Current status, select the disk you want to defragment and click button “Defragment disk”. 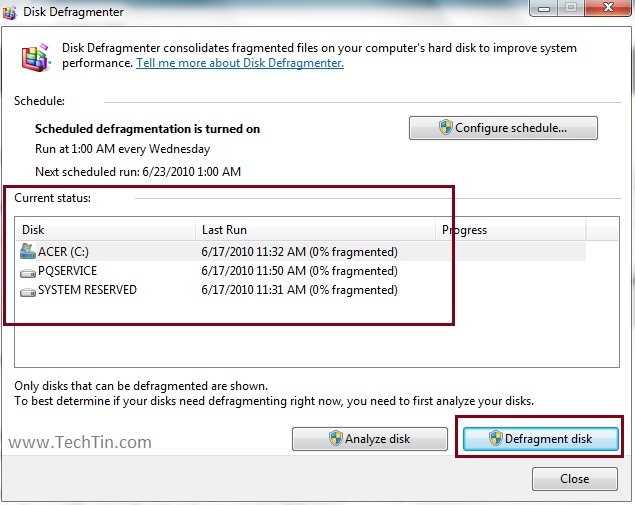 Its better to schedule disk defragment in windows 7. 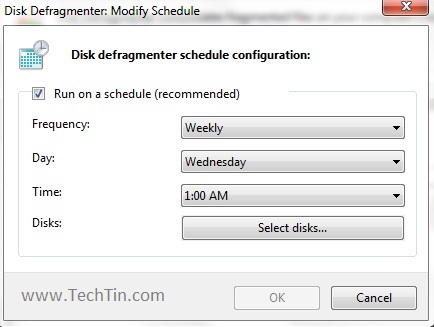 On “Disk Defragmenter” windows click “Configure schedule ..” button. 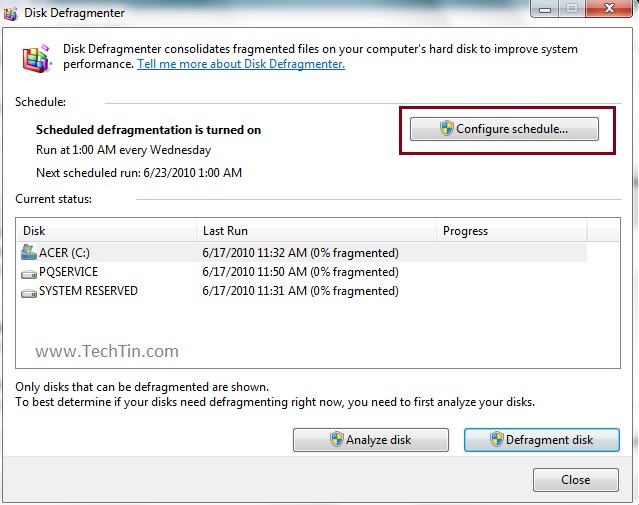 Now you can schedule disk defragment.